In a grim alternate universe to Star Trek : The Original Series, the apocalypse is coming in the form of King Ghidorah, the three-headed monster. Worse, the creature is worshiped by the hate-filled on many Federation worlds, each of whom believes they alone will be spared when the monster comes. On Earth, they have ascended into Starfleet Command itself. The family of James T. Kirk wages a generational war to oppose this evil, but often at a high price. Among the highest are those paid by young Peter Kirk and Saavik. Ever been to the drive-in movies? By this I mean, that one drive-in that you find is showing movies when you know it's been closed for years? You know that one, where the screen has long since all but collapsed, weeds are everywhere, the stand has nothing but rancid snacks, and your date never came back from the bathroom? Well, what's in these stories is from that particular drive-in - and it's in gigaphonic 13-D. Hope You Enjoy. It Will. Ancient Destroyer stories dating from the deepest parts of pre-history up to the birth of Peter Kirk in 2255. Worlds are driven to dust before Ghidorah, and the Star Trek world that we know starts to take shape even in the shadow of the beast and its followers. One young man moves up to assume his first best destiny, while his son works very hard to survive a childhood gone wrong. The Houses of Kirk and Sarek will be rocked to their core, often to the breaking point. The forces of tyranny, reaction and hate do their best to destroy James Kirk, his family and his crew. The long nightmare has begun. Yet our heroes endure and their ties grow ever stronger. For those readers seeking to understand the Cycle, I hope these stories will be helpful. Prophecy Boy meets Prophecy Girl, but all is not hugs and kisses for the Chosen Ones, and their love must conquer a bigger all than most. Kirk and the Fleet chafe under the yoke of the corrupt Admiralty Hall. The long nightmare is over, but war is in the offing. A random collection of very short stories not currently incorporated into any other series. All the little stories that make up the very long relationship that Hank Harrison and Bethany Reeves have with one another over the course of their lifetime. Featuring glimpses into the past and future, these are all pretty much canon for the two. I may have contradicted myself in some of these, and if I have please let me know. As always, any and all comments are welcome. Please, enjoy. Summary: A collection of my Mirror Universe stories.rnrnJokingly titled "The Moo" because whenever I see "Mirror Universe" abbreviated as "MU" my brain wants to pronounce it "Moo". Summary: The intrepid crew of the Molly Magee bite off more than they can chew on a job gone horribly awry. From Earth to beyond, the survivors of World War III must strive to face conditions far worse than they ever imagined possible. A series of interconnected stories of how the people of Q'ono'S live and survive almost daily catastrophies. 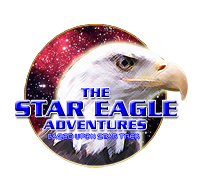 The Star Eagle Adventures chronicles the voyages of USS Eagle and her intrepid crew. 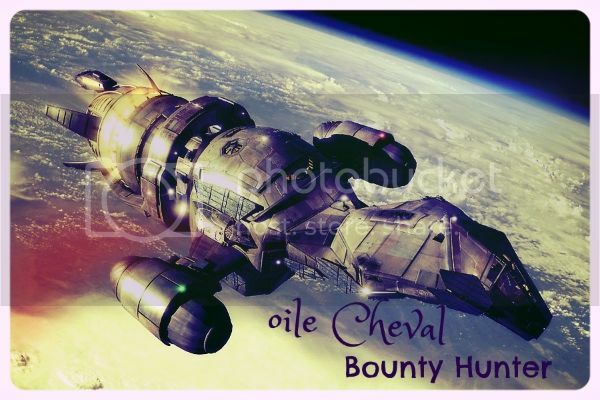 Set in the 2370s, join Captain Michael Owens and his crew as they take on the toughest challenges the galaxy has to offer. From time travel, ancient and powerful civilizations and the merciless Dominion. For this crew, it's all in a day's work. 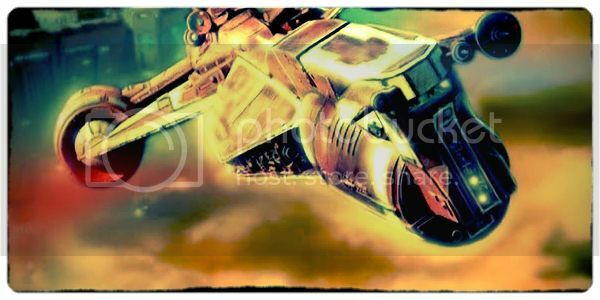 The Star Eagle Adventures is a proud member of the United Trek shared universe. Visit StarEagleAdventures.com for more stories, information and for ebook downloads. There was never anything special about them until the Renegaughts came. 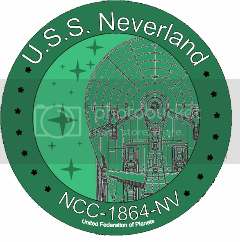 Follow the Miranda-class USS Neverland and her crew, Captain Terri Nairvet, First Officer and Science Officer Suroth, Communications Officer Gra'chek, Navigational Officer Takovel Chek, Tactical Officer Vertica Jetta, Chief Of Security Jethro Tannings, Chief Engineer Cha'k'ree, and Chief Medical Officer Johanna Builfry as they uncover the shocking truth of the Renegaught's ties with Vulcan. "Those who soar to new heights, and those who dispel evil. Do not mock us because you fear us.We are Renegaught." Summary: Tarsus IV in the AOS. Alternate Original Trek adventures featuring Spock-Quinto and crew. This four story series takes place shortly before and after Spock's Kolinahr experience. A strange chain of events will ultimately lead him into a life-changing relationship. 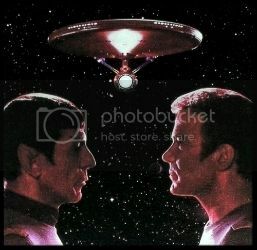 Image from ST: TMP publicity photo. Summary: All the Corry-centric stuff that doesn't quite fit, tonally or thematically, with the Arc of the Wolf. Summary: 900 years after the Dominion War, demi-Prophet Benjamin Sisko calls upon Miro Dax, Kira Eeris, and Odo to stop the Romulan Empress Viresa, the Dominion, and even the Borg from reducing the galaxy to a smoking cinder. There's just one problem…these three would-be heroes can't even get along with one another. Keep in mind that all titles and premises are tentative. Eeris returns to Bajor to avert a Cardassian occupation, but soon finds herself saddled with more responsibility than she ever bargained for. Meanwhile, the Dominion enters negotiations with the Romulans and gears up for war. Summoned by a desperate Starfleet, Miro helps the Federation fend off the joint Dominion-Romulan forces in an attack that drives him to question his vigilante lifestyle. On Bajor, Odo and Eeris try to rebuild—both Bajor and their friendship. On a mission to establish contact with the disabled Enterprise-L, Miro is confronted with the painful truth of his past and Odo begins to wonder if he is truly wanted in the Alpha Quadrant. On Bajor, Eeris takes a risk to put her planet back on the political map. When Odo finds a way to restore the Prophets to the Celestial Temple and begin to redeem himself for letting Nerys's gods die, the consequences for the galaxy are disastrous. As the Federation, now controlled by the ambitious Section 31, fights Bajor tooth and nail for power, Miro and Eeris struggle to make sense of their evolving relationship. Naral Prallax finds the perfect way to stop Miro from risking his life for the galaxy: to exploit his fear of losing Eeris. After all, he'll most certainly choose her over galactic peace…won't he? The Borg are back. Beaten to the quick in the aftermath of Voyager, they are few and desperate, making them more dangerous than ever—thus plunging the Alpha Quadrant into its darkest hour. When a new virus threatens the Great Link, Miro, Eeris, and Odo will stop at nothing to prevent genocide…but will that mean losing the war? In order to conquer Viresa and her Dominion allies, Miro must face centuries-old fears, Odo must make an impossible choice, and Eeris must be her people's rock even through a crisis of faith. Miro, Eeris, and Odo must help the Alpha Quadrant rebuild in the aftermath of the war. But it's all too easy for duty to stand in the way of healing. Summary: Set in the universe of the Pocket Books novels (although I pick and choose what parts of that "canon" to accept, as Pocket Book novels can contradict regular canon or each other... or just sound really stupid), beginning with the ending of Peter David's "Before Dishonor", and containing serious spoilers for that book. Kathryn Janeway's adventures in the Q Continuum. The relationship and dating exploits of Paul Bearrian and Seven of Nine, from beginning.